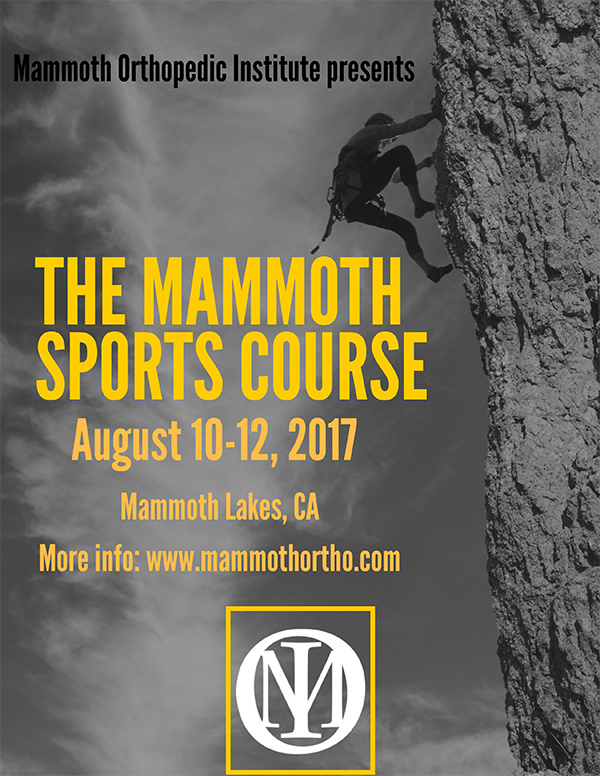 Mammoth Orthopedic Institute hosted the Second Annual Mammoth Sports Course, which was a great success once again. Spouses, significant others, and families are welcome. Offerings are available for alternative activities during didactics. Travel- Travel to Mammoth is either via a daily flight from LAX direct to Mammoth or via Reno (3 hours by car), or Las Vegas (5 hours by car). William Montgomery earned his Bachelor of Arts degree at Colgate University and his M.D. at the State University of New York Downstate Medical Center. He went on to complete his surgical internship at Beth Israel Medical Center and his residency in Orthopaedic Surgery at the Hospital for Special Surgery in New York City in 1991. 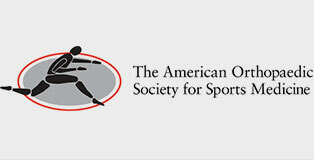 He then completed a Sports Medicine Fellowship at The Kerlan Jobe Clinic in Los Angeles. 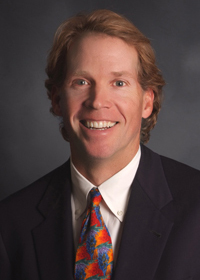 Dr. Montgomery has been the team physician for the San Francisco Giants, Spiders, Seals and the San Jose Lasers. 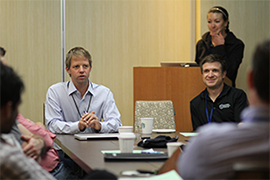 Currently, he is the head team physician for the University of San Francisco and Sacred Heart Cathedral Prep. 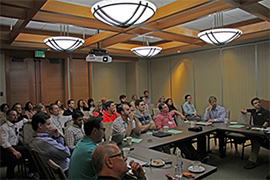 Dr. Montgomery is the Chief of Training for the San Francisco Orthopaedic Residency Training Program. He developed and directs the arthroscopy bioskills lab at St. Mary’s Medical Center where he is also Vice Chairman of the department of Orthopaedic Surgery. 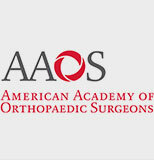 His interest is in arthroscopic and reconstructive surgery of the shoulder, knee and elbow. 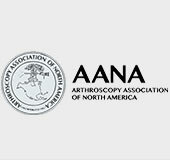 He has been involved in clinical trials on the Collagen Meniscus Implant (CMI) and is an active investigator in the FDA SUN trial for the NUsurface meniscal implant. He is a leading expert in the field of meniscal scaffolds and treatment of meniscal deficiency. 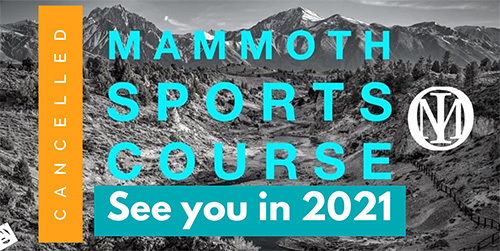 We look forward to hosting him in Mammoth Lakes for the 2017 Mammoth Sports Course. 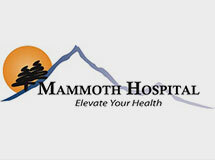 Thanks to generous support from Mammoth Hospital we are able to sponsor a senior orthopedic resident or sports medicine fellow scholarship this year. 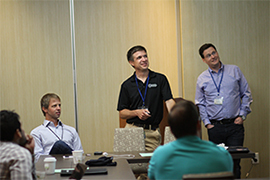 The scholarship will cover travel, lodging, and registration up to $1,500 and the opportunity to be an active participant in the course. DEADLINE for the scholarship application is July 1st!